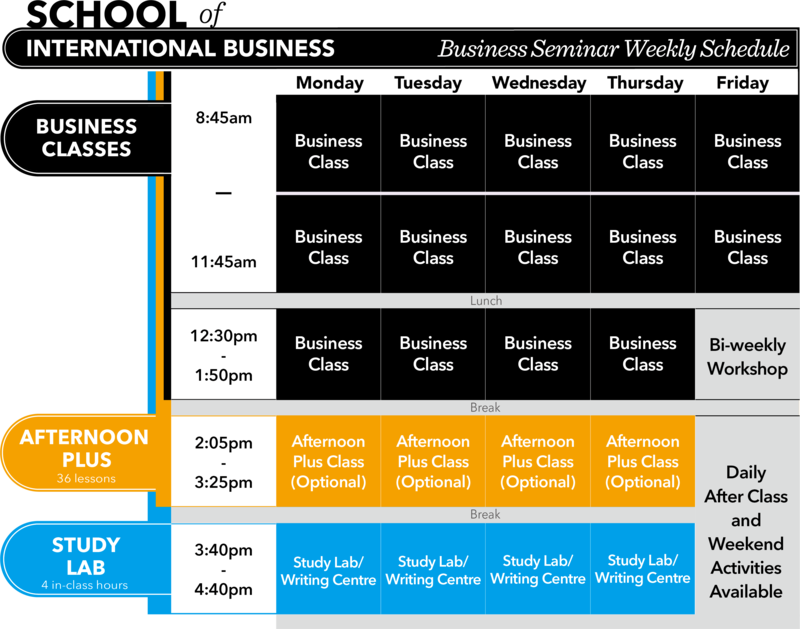 Our international students have the flexibility to learn business while enjoying an afternoon class to bring up their English level, when necessary. Students can work towards achieving a Co-op position and getting hands-on experience in a Canadian company, where they can apply the skills they have acquired during their studies at VGC. For domestic students, this is a great course as it will give you an understanding of the basics of business and working in an international environment. Our business classes are designed to give our students a strong basis for business through teaching frameworks and strategies commonly found in Canadian business, all while learning through practical lessons. Students are asked to take the online English level test and sign up for an interview to qualify for our business programs.